GetThere, a provider of travel and collaboration management solutions, unveiled its 12th annual GetThere Corporate Travel Benchmark Survey, which found that as airlines continue to introduce additional fees, corporations are reimbursing travelers for fewer ancillaries compared to last year. 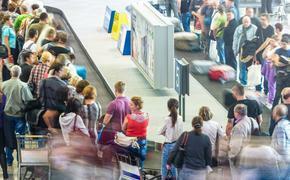 Indeed, 78 percent are reimbursing for a first checked bag, compared to 95 percent in 2010. Reimbursement for on-board food and beverage dropped by 11 points to 42 percent, while Wi-Fi dropped by only one point to 50 percent. GetThere’s survey comes as the focus on airline ancillary fees has intensified during the annual GBTA conference of corporate travel professionals in Boston. On July 23, Amadeus also unveiled a survey that showed a dramatic increase in airline ancillary fees to $22.6 billion in 2011. Comparing 2011 travel fares with current prices, GetThere found that corporations are paying significantly more for air and hotel segments while car rental prices are slightly decreased. Average Air Ticket Prices (roundtrip) are up 5 percent compared to 2011. Average Hotel Rates (per night) are up 4 percent compared to 2011. Average Car Rental Rates (per day) are down 1 percent compared to last year. Average online adoption rates for GetThere customers increased for the 11th consecutive year. In North America, respondents to the benchmark survey averaged 80 percent online adoption, up two percentage points from 2010. GetThere’s average adoption is well ahead of the industry average of 58 percent, based on a 2011 PhoCusWright Corporate Travel Manager Survey.